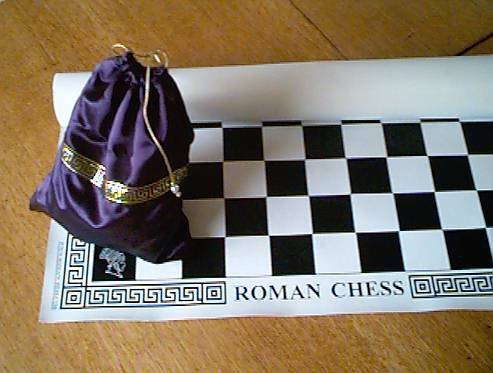 Below, you see some photo's I made of a set of Roman Chess. Click on images to see them in larger size. 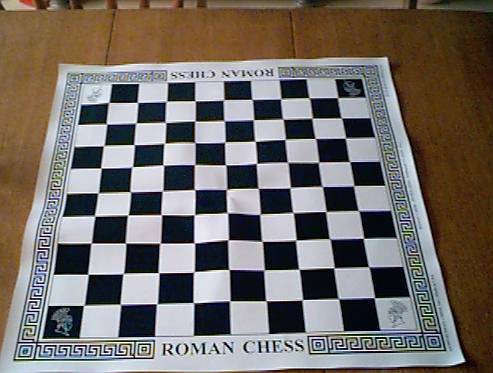 Roman Chess is a chess variant on a 10 by 10 board. The extra piece is called Archer. Pieces are plastic with filt underside and heavied by lead. 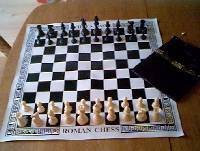 The board of this set is printed on leather (or some kind of plastic material resembling leather). With clear black and white squares and nicely designed borders, the board looks very good. The pieces are usual Staunton design, except the archer, which is in my taste too much looking alike a pawn. 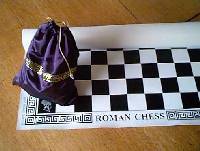 The set comes with a detailed rulebook and a beautifull bag for keeping the pieces. The price of the set seems rather high, however. 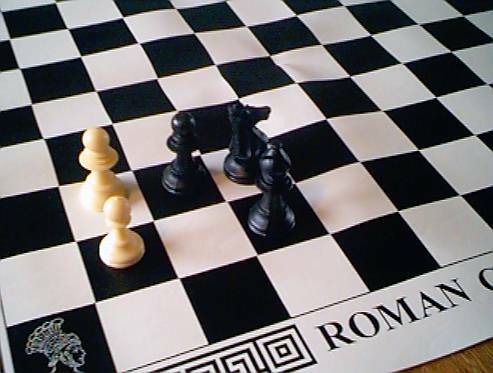 October 1999, the website of this game listed a price of $79.95. 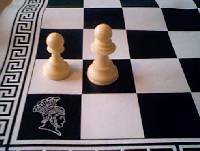 WWW page made by Hans Bodlaender. Photo's made by Hans Bodlaender, with a Kodak DC-20 camera donated by David Howe. 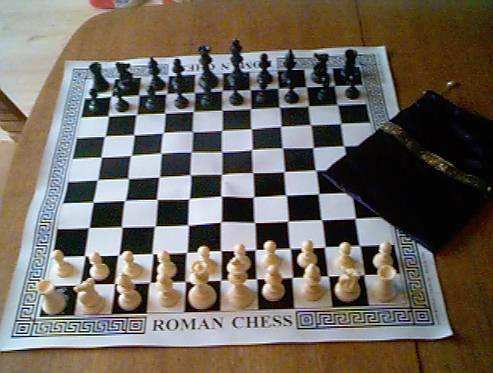 Photo's of Roman Chess. 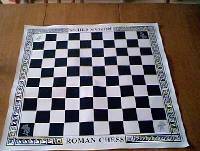 Photo's of commercial large chess variant.